PHOENIX, MARCH 25, 2019 – Sporfie, a venture of NAGRA, the world’s leading independent provider of content protection and multiscreen television solutions, announced Monday a deal to bring its Instant Video Replay solution to the ECHL, the ‘AA’ professional development league for the American Hockey League and the National Hockey League. For the first time in ECHL history and beginning with the 2019-2020 season, referees for the League’s teams will be able to review video streams from overhead cameras located above each goal and make decisive rulings directly from the ice using a tablet device. Once installed, the solution will also give each team access to Sporfie’s Instant Highlights capability, allowing marketing staff to instantly share video clips with fans on social networks. The announcement comes just four months after the ECHL Board of Governors approved a pilot program to test the solution at the arenas of four teams: the Idaho Steelheads, Kalamazoo Wings, Toledo Walleye and Worcester Railers. Launched in 2016 as a venture of NAGRA, Sporfie allows anyone, from parents at youth games to marketers and officials at the professional level, to easily and instantly capture, replay and share sports highlights without filming or editing. By focusing on creating a product that is accessible across multiple levels of play and applicable to a wide range of use-cases, Sporfie was able to design a professional solution that is simple, flexible, and highly cost-effective for teams and leagues. For media inquiries, contact press@sporfie.com. Sporfie, a venture of NAGRA–a Kudelski Group (SIX:KUD.S) company, is a sports video platform that gives individuals and teams the power to capture, replay and share personal highlights instantly and without the distraction of filming or editing. Based in Phoenix, Arizona, Sporfie was founded in 2016 in Switzerland and since then has worked globally with sports teams and organizations ranging from youth to professional. Learn more about Sporfie at sporfie.com, or connect with us on Twitter. Began in 1988-89 with five teams in four states, the ECHL has grown into a coast-to-coast league with 27 teams in 20 states and two Canadian provinces for its 31st season in 2018-19. There have been 658 players who have gone on to play in the National Hockey League after starting their careers in the ECHL, including 17 who have made their NHL debuts in the 2018-19 season. The ECHL has affiliations with 25 of the 31 NHL teams in 2018-19, marking the 22nd consecutive season that the league had affiliations with at least 20 teams in the NHL. 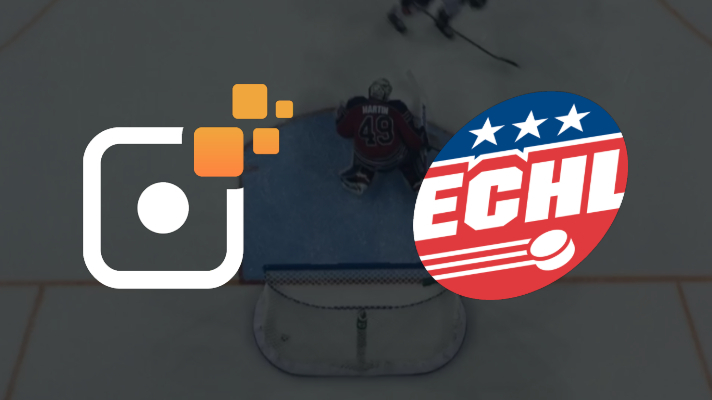 Further information on the ECHL is available at ECHL.com as well as on Twitter and Facebook. NAGRA, the digital TV division of the Kudelski Group (SIX:KUD.S), provides security and multiscreen user experience solutions for the monetization of digital media. The company offers content providers and DTV service providers worldwide secure, open and integrated platforms and applications over broadcast, broadband and mobile platforms, enabling compelling and personalized viewing experiences. Please visit dtv.nagra.com for more information.